We are proud to announce that for third year in a row we have been awarded the TripAdvisor Certificate of Excellence 2018. 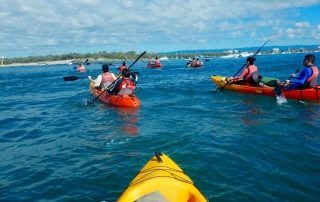 With over 240 reviews, our kayaking and snorkeling tours are located amongst the top things to do on the Gold Coast. We are extremely proud of our great team, who are enthusiastic people who love what they do, and we will go above and beyond to achieve our customers’ needs. We are sure we will continue to create unforgettable memories of our beloved Gold Coast City’s waterways and hidden treasures. We are also extremely thankful to our valued customers for taking the time to leave a review of their experience with us. That is by far our greatest reward. We promise we will continue to thrive on the challenge of providing you and our future customers with unforgettable experiences, and the best customer service. Furthermore, we promise we will continue to innovate and create new ways to explore our beautiful City of Gold Coast. We brought innovation to the Gold Coast and now you can ride the world’s most advanced water bike with us. Como and experience the water like never before! 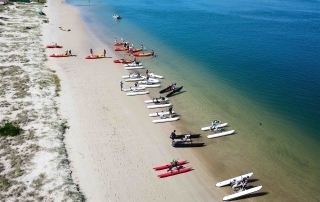 Beautiful aerial view of our launch point at Biggera Waters. 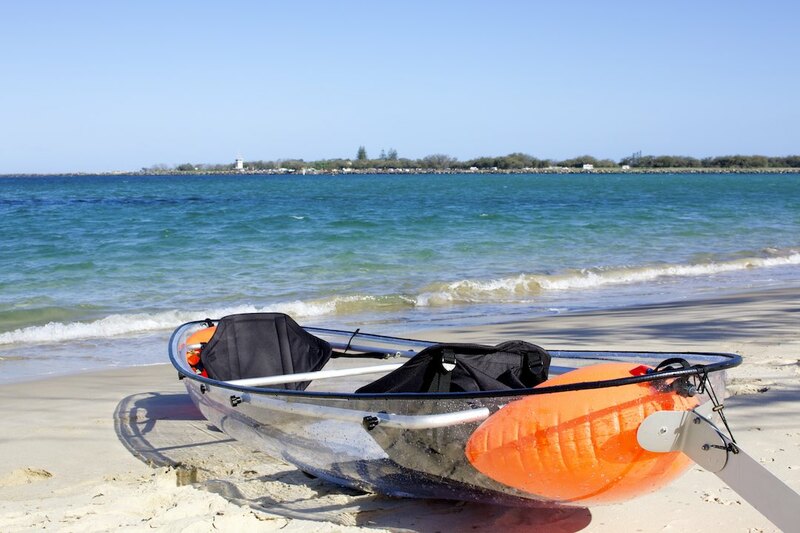 Come and try all of our water toys and join us for the next adventure around Gold Coast’s Broadwater. 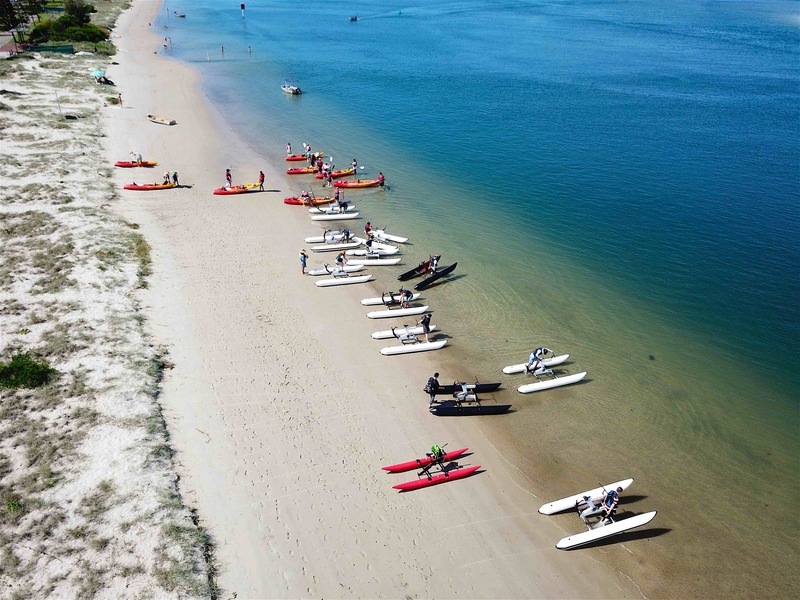 Kayaks, paddle boards, water bikes and more!! 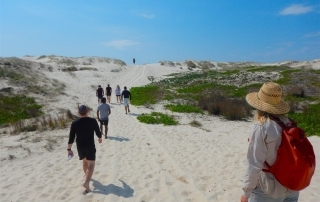 We know about the best places to take you to discover and feel the real purity of Gold Coast’s nature. Come with your family and friends and live an exciting life moment. Keep the adventure alive!!!! 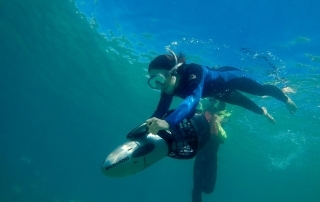 Snorkeling around Wave Break island (Gold Coast) is one of the activities you can not miss when visiting the coast. Come and try all of our aqua toys and make your experience unforgettable. Keep the adventure alive! Yes, that is right exactly as you read it! 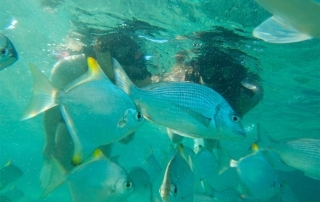 Underwater photos are included with our tours when the conditions are proper to get clear shoots. Normally, the best underwater visibility of the day happens when we get the high tide. There are different factors that can affect this such as wind, rain, currents, etc. However, we definitely know that peak tide is the best moment to get into the water and spot the fish. 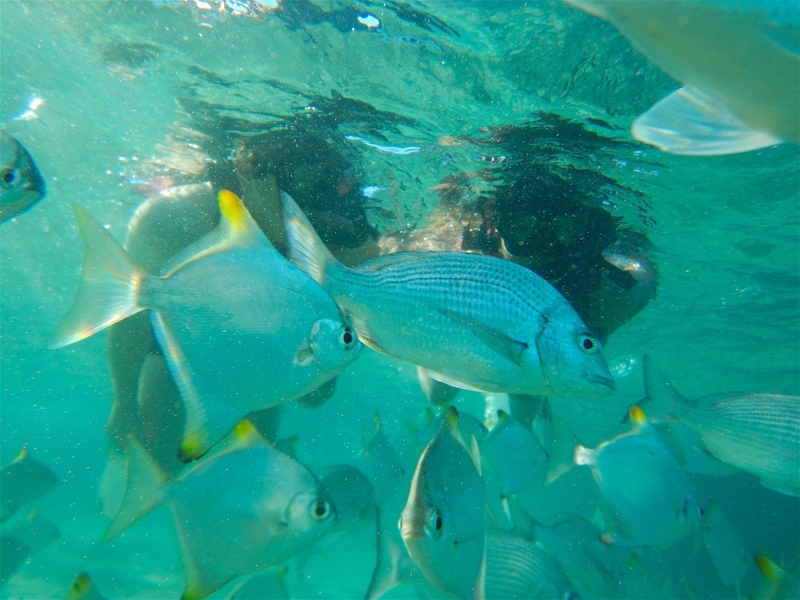 There is a wide variety of fish around Wave Break Island and we normally feed the fish to get them close to you. This photo shows one of that beautiful moments that will stay forever in your memories. 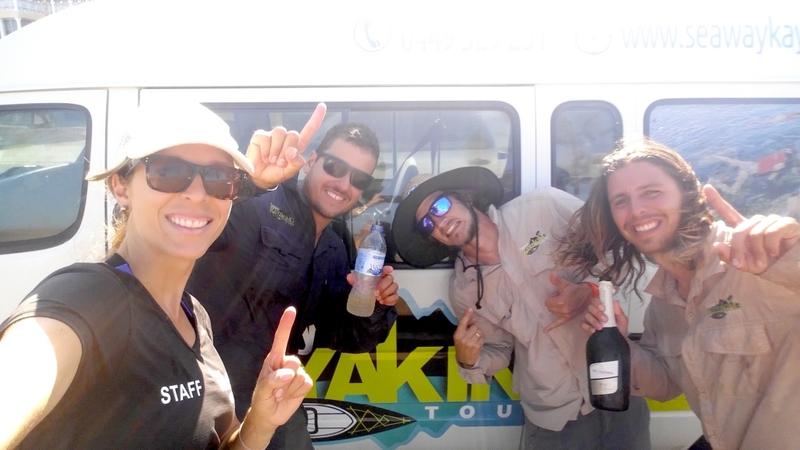 Join us and experience a real Gold Coast adventure! Gold Coast is famous because of its beautiful location and its amazing waterways. One of the best ways to explore them is kayaking. Come and join us to discover this amazing city! 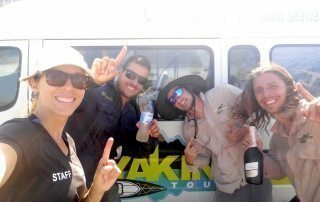 We offer in two of our tours, the amazing experience of clear bottom kayaking. 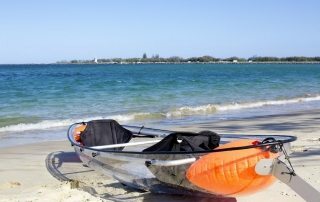 This beautiful and unique kayak allows you to explore the sea bottom whilst kayaking the crystal waters of The Gold Coast. 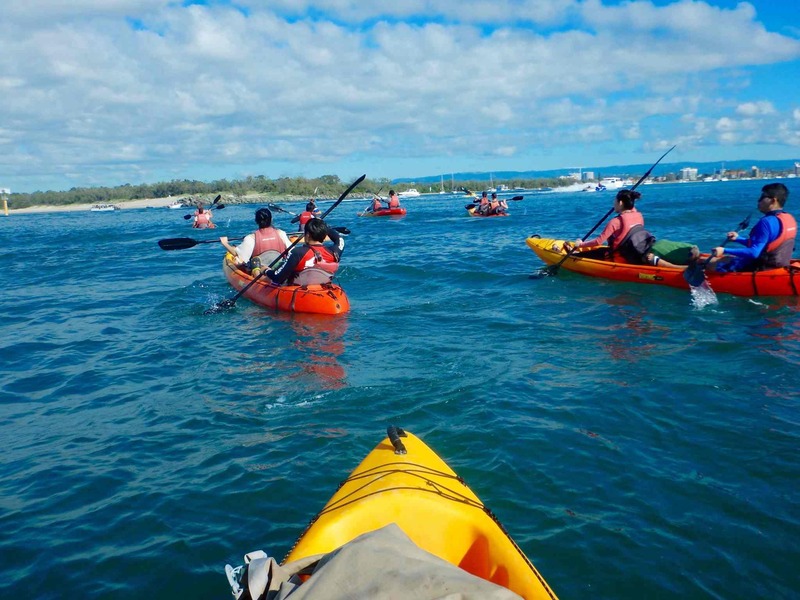 Definitely, a must do outdoor activity in Gold Coast! 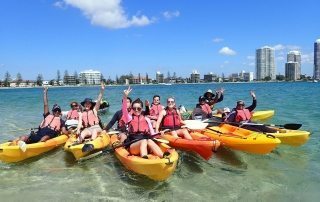 With more than 200 people on the water during the last week, the #1 kayaking company of the Gold Coast welcomes a happy and prosperous New Year 2017!! 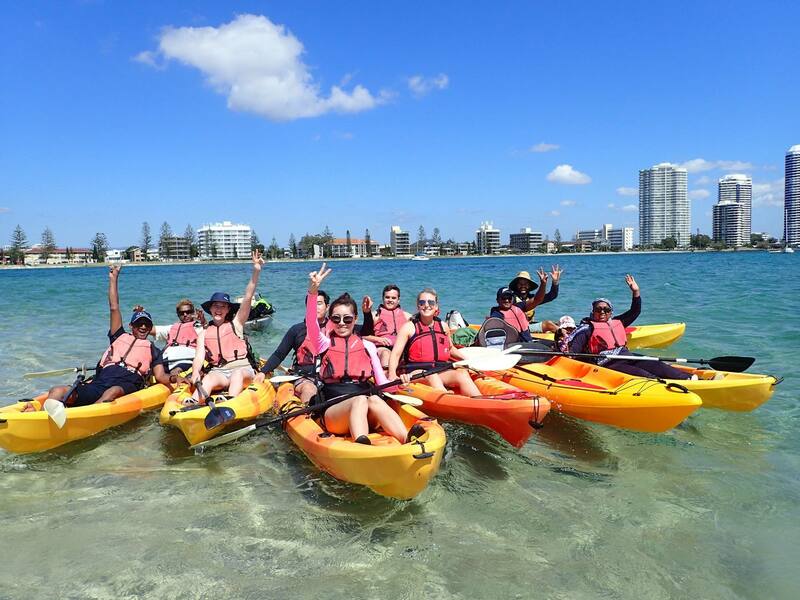 This is how people enjoy The Gold Coast’s beauty with us! Our goal is always to give you, no matter what, a unique experience during our adventures. 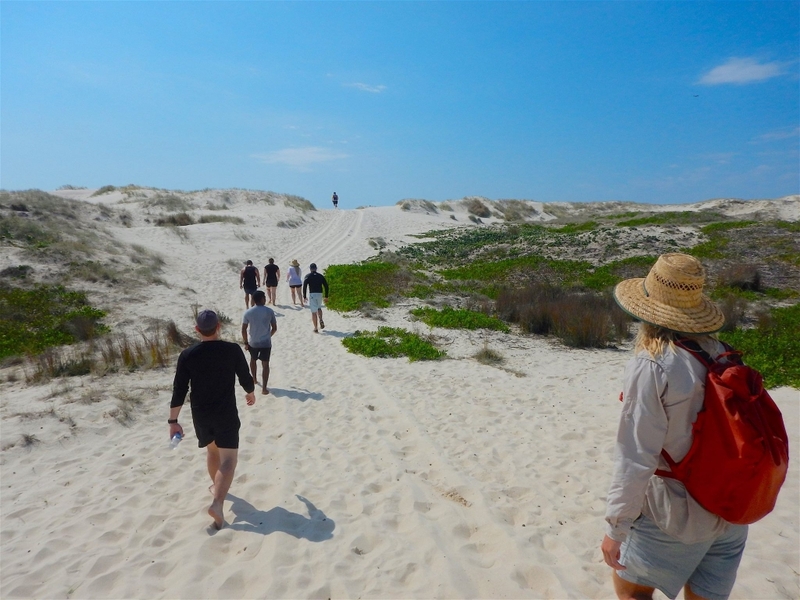 For this reason, we have designed our tours using our extensive knowledge about the area to show you The gold Coast’s hidden treasures in a natural and safe way. Join us and have fun with your family and friends this summer!